This is an example of a print repeat. When created correctly the pattern can go on forever. 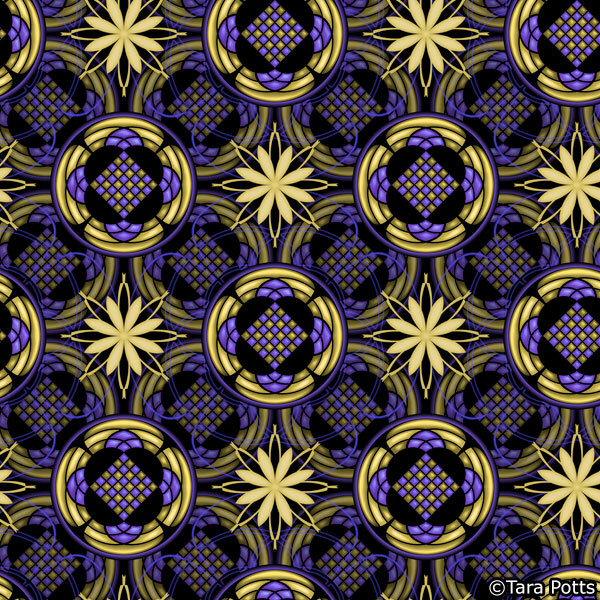 I create patterns based on predetermined specs at my job all the time, but this is an example of one I designed myself. This sort of process would be used on things like wallpaper, fabric, wrapping paper, anything requiring a pattern that needs to be able to repeat indefinitely.